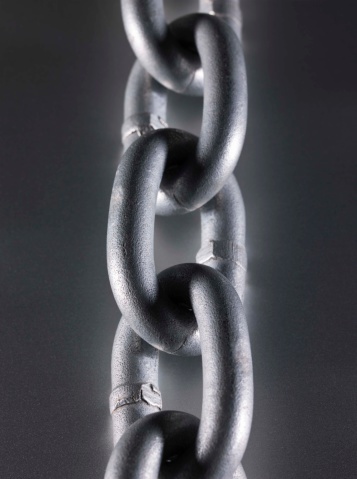 When working with metal, the phrase "tough as steel" may be a bit discouraging, especially if you are trying to break the metal. Cutting through metal is not easy, but it can be easier with the correct tools. No matter what the shape and size is of the metal you are working with, chances are someone has successfully cut through it before. With the right tools and approach you can cut any metal down to size. 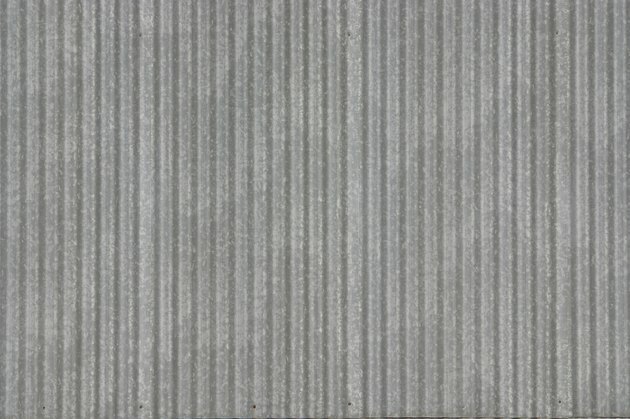 Corrugated metal can be easily cut with a grinder. Use your hacksaw to cut through short lengths of metal, such as screws, rods, nuts and bolts. Make short slow strokes with your saw until you have created an abrasion in the metal deep enough to keep your saw blade in place. Take full strokes using the entire saw blade for the rest of your cut. Your pull stroke is just as effective as your push stroke so apply the same amount of pressure to both. Use your pipe cutter to cut through lengths of pipe made of steel, copper and aluminum. Pipe cutters are simple to use and come in various sizes to fit your project. Place your pipe between the jaws of the pipe cutter and tighten them using the adjustment screw at the rear of the cutter. Slowly rotate the pipe cutter around the pipe. Each rotation will cut deeper through the pipe until you have made a clean cut. Use a grinder to cut through large sheets of metal. A grinder is a hand-held power tool that grinds through metal rather than cutting it with a blade. Place the vertical edge of the grinder on the metal and slowly ease it (because it is grinding not cutting) through the length of metal you are cutting. Based in Portland, Oregon, David Banks is a copywriter and proposal writer in the fields of advertising and commercial sales. He holds a B.A. in creative writing from Azusa Pacific University and is an avid health and fitness researcher.